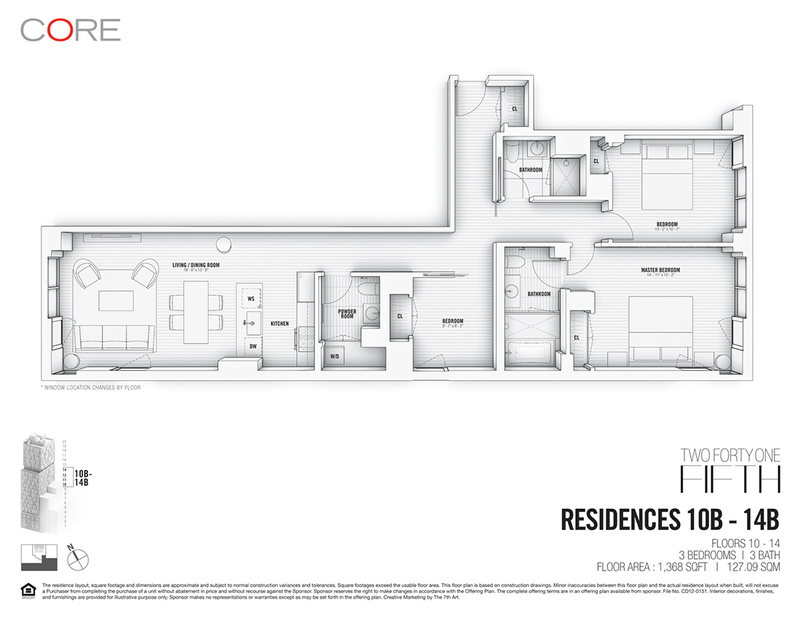 Residence 12B is a 3-bedroom, 2.5-bathroom unit offering fantastic eastern, western and southern exposures overlooking Fifth Avenue and 1,368-square feet of space. The modern design influence features an open flow living room and a neutral palette that can be seen through the use of stained white oak flooring and white-finished fixtures from the Zuchetti-Kos Faraway Collection. The master bathroom is designed with a deep soaking tub, glass-enclosed shower, solid teak wall detailing and honed stone tile floor. Additionally, this residence offers a Miele washer and dryer and oversized windows throughout. 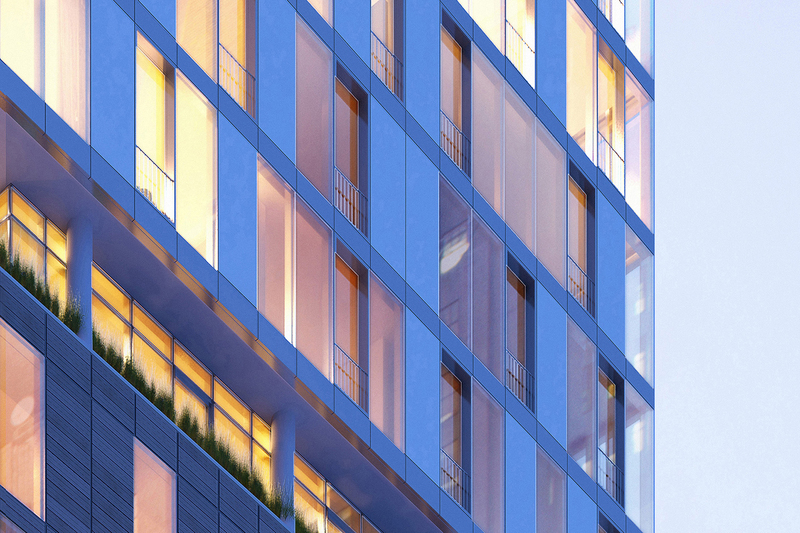 241 Fifth's lobby boasts wire-brushed, white oak walls and a polished concrete floor, conveying the modern simplicity of this boutique condominium. In addition to a 24/7 concierge, 241 Fifth's amenities include a rooftop terrace, a fitness center equipped with state-of-the-art cardio and weightlifting equipment, a Zen tranquility room for yoga, Pilates or meditation, a residence lounge and private wellness treatment room, which offers a serene space for massage or beauty treatments.